Makeup is a very crucial aspect to finalizing your ensemble. The tricky part happens when you are walking down the aisles of Sephora trying to find the perfect products to complete your look. You can’t have makeup that is too cakey, but you also can’t have your makeup too sheer to where it does nothing. That is where I come in! I have found all the products that are JUST RIGHT, and I am here to share with you what they are and what is great about them!! This foundation is creamy, easy to blend and wears well all day long. This foundation leaves you looking fresh and natural. This is not a full coverage foundation, therefore you cannot noticeably tell you are wearing foundation. This beautiful foundation also includes a SPF of 24. This is a great foundation all around and worth the splurge. The NARS Sheer Glow Foundation is comparable to the CLÉ DE PEAU BEAUTÉ Foundation, but the price tag is not quite as hefty. The NARS foundation leaves you looking dewy and fresh. 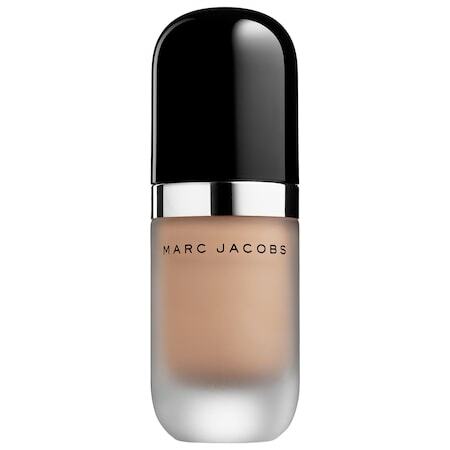 This NARS foundation has more of a liquid consistency, rather than a creamy consitency, but is a wonderful foundation and a reasonable price. This foundation is full coverage. If you have any red breakouts or pigmentation, this is the foundation for you. A little truly goes a long way, and you can make one bottle last for a long time. I originally bought this foundation with the Marc Jacobs Face III Buffing Foundation Brush which is great for making the foundation very full coverage, but it can sometimes appear thick and cakey throughout the day. I recommend applying this foundation with a beauty blender, you still achieve the full coverage look without your makeup appearing cakey. If you are set on using the Marc Jacobs Buffing Brush, I would recommend dabbing your foundation with a beauty blender after you use the brush. This is the concealer you have heard every Youtuber and Beauty Blogger talk about, the Tarte Shape Tape concealer is absolutely revolutionary. This concealer tube contains .3381 FL OZ, compared to a standard tube of concealer that contains about .22 FL OZ. This Concealer also comes in a variety of different shades and undertones, which makes it easy to find your perfect shade. Tarte Shape Tape Concealer is very blend-able, creamy, and pigmented. This Concealer is great for those with dark under eye circles. I would not recommend using this concealer anywhere else besides your under-eyes due to the thick consistency of the product. 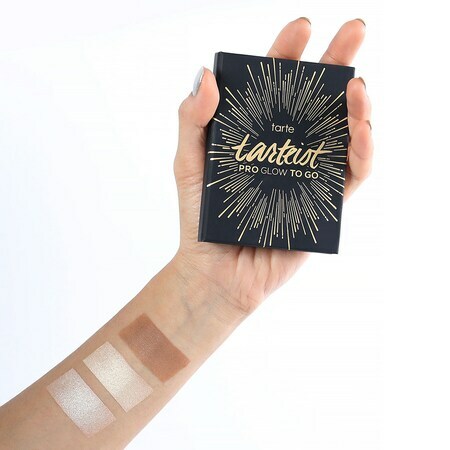 This Product is great for more coverage and long lasting wear. Say BYE BYE to under-eye circles. INGLOT Blush is the only blush I use. INGLOT has endless colors, the formula is beautiful and it doesn’t apply patchy. I buy the magnetic pans and place them in a Z Palette for my individual powders, shadows and blushes. 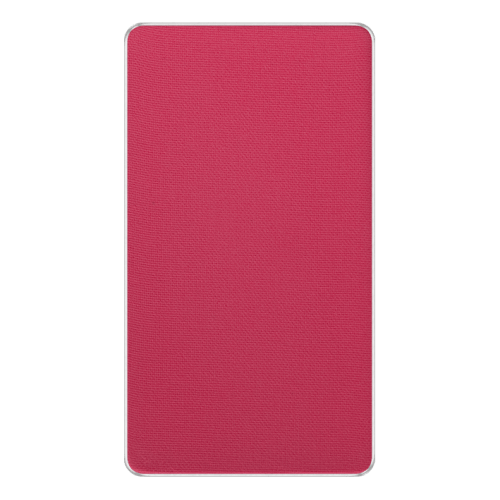 If you would rather not purchase loose blushes, you can purchase individual blushes that are in packaged containers from INGLOT here. My favorite shades from INGlOT are 45, 30, and 52. This powder is great for baking your face, and it is super friendly on the budget. The powder comes in various colors, but I prefer the translucent powder. You get a lot more product compared to other brands, for a lot cheaper. I use this powder to set my makeup with a powder brush. I use the Inglot Pressed Powder after I have baked my face and dusted off the excess. 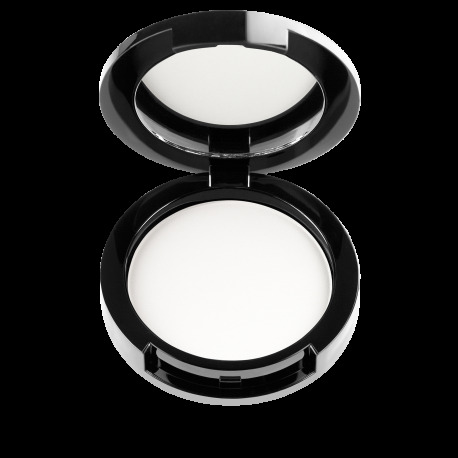 This Powder appears white in the pan, but goes on translucent and is great for keeping your makeup on all day long! I love this bronzer because I have a fair complexion. I find with the majority of bronzers they make me look orange or like I wiped dirt all over my face. This bronzer is great to add a subtle depth and warmth to your face without too much color, and it doesn’t break up throughout the day while wearing it. If you are not as fair, you can shop the darker shade here. This is a beautiful bronzer. I use this bronzer during the summer or when I have a spray tan. The formula is creamy and smooth and it applies and blends beautifully. It has two shades within each compact, a matte shade and a shimmer shade. I recommend getting shade one unless you are very tan, due to the fact that it is a warmer bronzer. I love to use this mini highlighting palette when I want a more obvious and pigmented glow. 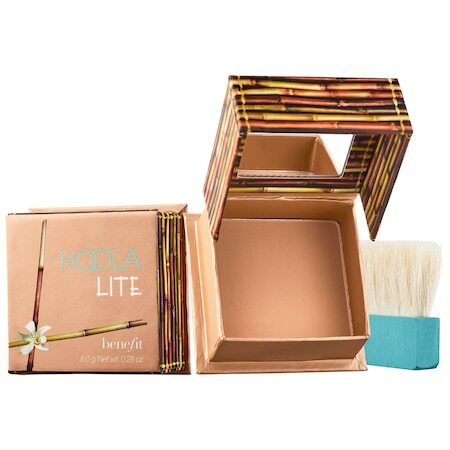 These highlighters are beautiful and very reflective and are great for catching the sun rays hitting your face. I love to use this highlighter on my cheeks with a fan brush to create a very subtle glow. I love when a highlight is very natural and not too obvious. 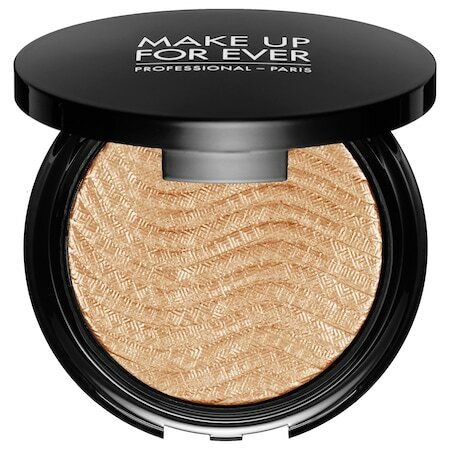 This MAKE UP FOREVER highlighter does just that, it looks as if you are radiating from within. This mascara is absolutely stunning. It doesn’t clump and doesn’t give you thick, chunky lashes. 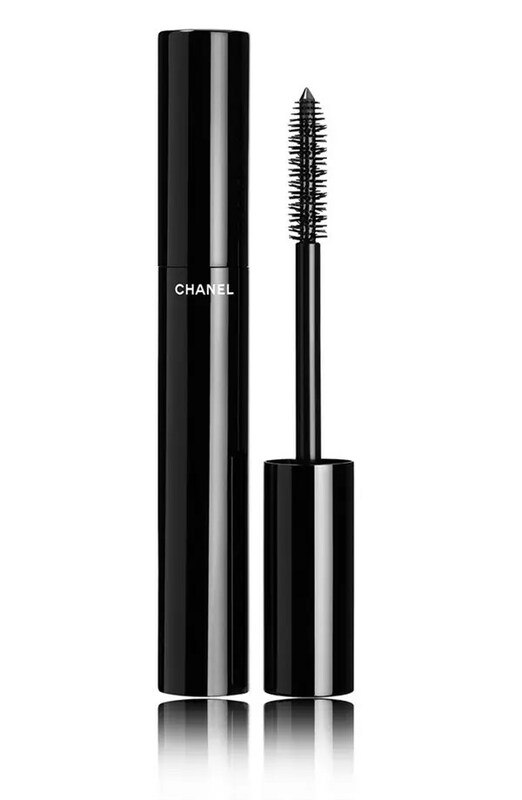 This mascara gives you volume and length all at the same time. NARS foundation is more so medium coverage. It is defiantly buildable, and it covers flaws within the first application. If you have a lot of pigmentation/discoloration I would recommend possibly going for a full coverage foundation, but if you prefer a more natural foundation that is buildable NARS would be the way to go! Great selection! I’ve seen many people recommend Clé de peau as a brand but they seem to be quite expensive! Yes, their makeup line is a little more on the pricey side, but they make really good cosmetics. You can find similar products for half the price though. I am going to the store and buying all of these right now!